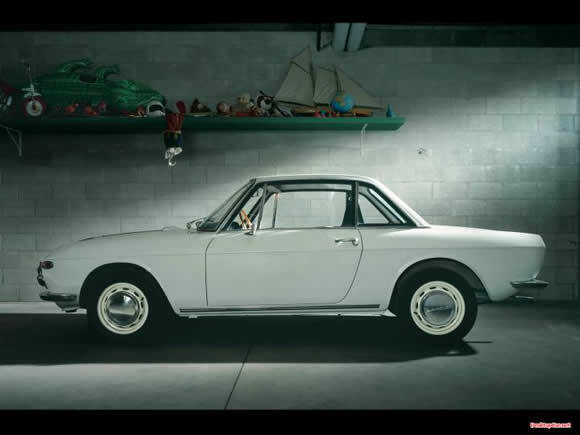 For some reason the Lancia Fulvia sticks in my mind. I think my dad took me to someones shed to show one to me and I was hooked. Lancia have designed and built some amazing cars. From the sublime to the ugly, but fast. Wikipedia says the Fulvia was in production from '63 to '76 but my memory says production started in '65 with the car being introduced in 1963. Maybe someone can help us there. A Fulvia in the hands of Sandro Munari and co-driver Mario Mannucci won the 1972 Rallye Monte Carlo. I have read they won the Championship but I'm am fairly certain they did very well that year but only won the Rallye Monte Carlo. The motor in the was a masterpiece, being a 1600 V4 developing at its peak 132HP, and having a single cylinder head and dual spark. A beautiful motor and a great example of Lancia thinking, outside the square. Great cars. Some great images here and excellent information about the car and motors here. Your memory about production history is correct, they first marketed the Fulvia (as a 1.2 liter)in 1965. In 1972 Lancia won the World Rally Championship. Monte Carlo was the big one, of course, but they also took firsts with Fulvia 1.6 HFs at the Rally of Sicily, the Moroccan Rally, Rallye Ostalpen, and the Rally San Marino di Castrozza. Fulvias are indeed amazing motorcars. I run mine (a '67 Fulvia Coupe Rallye 1.3) as a daily driver, and it never fails to bring a smile to my face. Thanks for your feedback Shaun. Great little car and I am amazed at how well they did. Having one as a daily driver must be a delight. Some great pics on your blog [http://www.fulviacam.phanfare.com/]and I can see you really enjoy your Lancia.